We are asked every day how TVOI News got started. The Voice of Idaho News service was initiated with the true intent of providing accountable, sourced, transparent facts and information so that the freedom of the press is re-instilled as the backbone watchdog of government. To inform, challenge and connect not only the local communities of Idaho but to be the sounding board for others to follow to develop such “new community media” in any state. TVOI News Genesis TVOI News was originated and registered by Michael Emry and Becky Hudson in July of 2014 as The Voice of Idaho, LLC. The catalyst for its formation was the stand-off in Nevada at the family ranch of Cliven Bundy, during March-April of 2014. The precipitating incident was Bundy’s dispute with the Bureau of Land Management (BLM) over grazing rights his family held. The BLM and various federal courts had assessed fines and penalties for non-payment of grazing fees. The Bundy family steadfastly maintained no fees were owed due to holding grazing rights to the land prior to the initiation of the Taylor Grazing Act of 1934 and the BLM. When the BLM threatened to seize the Bundy’s cattle and force them off their traditional grazing lands, the Bundy family put out a call for assistance. 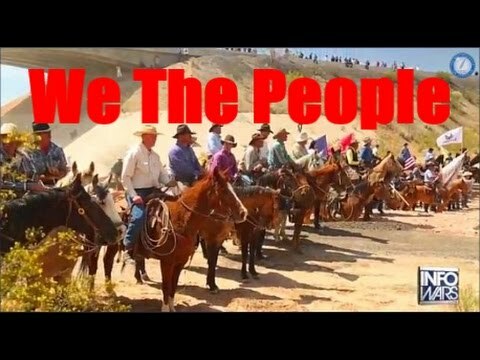 Their fellow Americans responded by the thousands, streaming into southern Nevada from all around the country to protect the Bundy Ranch and their cattle. The response was overwhelming and the BLM and federal law enforcement soon backed down without being able to provoke an incident with the largely peaceful defenders. Unreported by the media but very apparent to those closely watching and on the ground, this victory sparked a “wake-up” call all across America. It highlighted the growing power of social and alternative media to inform and coordinate distributed organizations and individuals. It also highlighted the increasing power of individual citizen action directly supporting and protecting a fellow citizen’s individual rights against an increasingly aggressive and unconstitutionally-domineering government. The problem and opportunity for TVOINews was through the failure of virtually all the mainstream or “old media” to accurately and fairly report events. Old media had simply become a mouthpiece for the government and the conglomerate interests that controlled it, not the actual news and journalistic integrity. The old media seemed utterly clueless that if things had gone wrong at the Bundy Ranch there were literally tens of thousands more standing by to assist the 2500-3000 individuals and groups that showed up. The old media also didn’t understand the depth of support that is growing to resist the federal government’s arbitrary and capricious use of force against its own citizens in every state, the roots of which go back several decades to corrupt judicial decisions, congressional acts, prior stand-offs with federal officers, ambushes, unwarranted SWAT raids, fraudulent Civil Asset Forfeiture (CAF) actions and incidents against American citizens in nearly every community. The outgrowth from those roots has been a mainstream media that serves as the defender and supporter for government corruption rather than the watchdog it was intended to be to the detriment of our country and our citizens. After the Bundy Ranch episode, the mission to provide BOLD, hard-hitting local, state and national news WITH ANALYSIS and WITH SOLUTIONS became clear and subsequent events have reinforced the need to create trusted, transparent online news and entertainment TV channel that helps connect everyone not just the informed but the uninformed and complacent citizens as well. TVOI has been boots on the ground in Burns, Oregon since Dec. 31, 2015. We are now live-streaming from the Burns, Oregon. Our website is still being repaired after it went down twice 1.20.16. Here are a few articles explaining what is going on in Burns, Oregon. OUR CHILDREN’S FUTURE. Anything less is unacceptable. Thank you for all who have donated to help us continue our efforts. Your support and prayers are greatly appreciated.